The days following the 4th of July see sunburned cheeks, barbeque stains on white shirts, and a sense of relaxation and lazy summer enjoyment. Although everyone is just getting back into gear after a weekend of patriotic celebration, it feels like it&apos;s already time to see what this weekend has to offer. Coming up this weekend in Athens, GA, is a mixture of events that fit perfectly into that carefree summertime attitude we&apos;ve all fallen into. 1) The Morton Theatre is easily one of Athens&apos; most historic landmarks, as it is one of the first, and the only surviving African-American built, owned, and operated vaudeville theatres in the country. 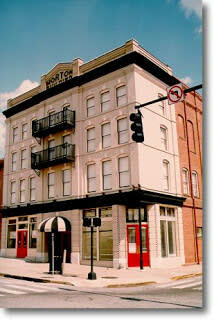 The historic building, opened in 1910, has recently been restored and adapted as a performing arts space. If you have never attended a play or show at the Morton Theatre, then this weekend could be the perfect opportunity. On Saturday, July 9, One Dollar Enterprises will present "When God Calls, Will You Answer? ", an inspirational gospel play that discusses the power of prayer and the importance of finding one&apos;s true calling in life. Tickets are $20, but groups of 10 or more are able to buy tickets for the group rate of $16. The show will begin at 7:00 p.m. For more information or to buy tickets, click here. 2) Terrapin Beer Company is another highlight of Athens culture, and rarely will you find a brewery that&apos;s as eager to open up their doors and welcome the public as Terrapin is. Every Wednesday through Saturday from 5:30-7:30 p.m., you can visit the brewery and sample an array of Terrapin&apos;s award-winning brews. You can also get a firsthand look into the production process with a tour that runs every 30 minutes. 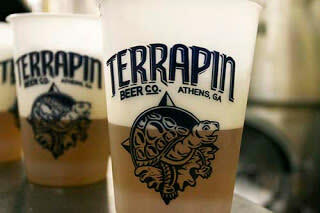 With live music and a fun and lively atmosphere, you&apos;ll find that Terrapin is the place to be on weekends in Athens. Be sure to check out some of the other great events happening in Athens, GA this weekend as well! Prepare for the upcoming Harry Potter film with the last day of the Harry Potter&apos;s World: Renaissance Science, Magic and Medicine exhibit on Saturday, July 9, at the Athens-Clarke County Library. Visit ATHICA on Saturday, July 9, from 7:00-9:00 p.m. for an opening Reception with the Artist featuring Maxine Youngblood. The Georgia Museum of Art is featuring a series of exhibitions this weekend. Check out the listings for several of them here. Come out and bask in the gleeful mood of Summer this weekend in Athens, GA! For more information on other weekend events, check out our event calendar.